Get Ready of some Spooky Summertime Travel With Our Guide to Creepy Europe! 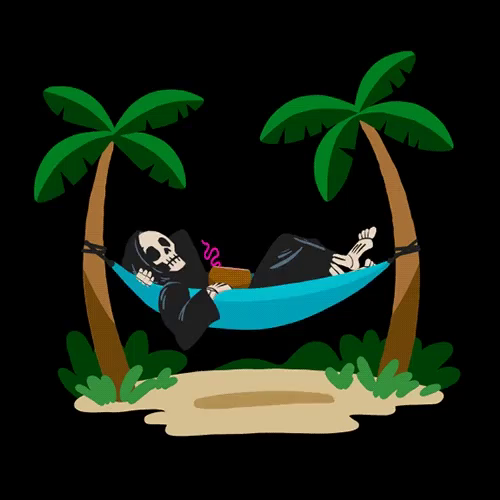 Well folks, summertime is here and that means sun, smiles, and all the other things creeps like us avoid. Still, it's a good time to get out of your rut! Step away from whatever office building or graveyard or morgue that you work in and enjoy the world around you! Travel broadens the mind and gives us an opportunity to see the wonders of the world. So here at I Love Halloween, we've provided a small list of our personal favorite spots. Call your travel agent today! It's not really a trip to Paris, the magical city of lights, without a visit to the massive crypts that linger below the city. This massive ossuary houses the remains of some 6 million people and walking through its eerie halls can serve as a chilling reminder of our own fleeting mortality. 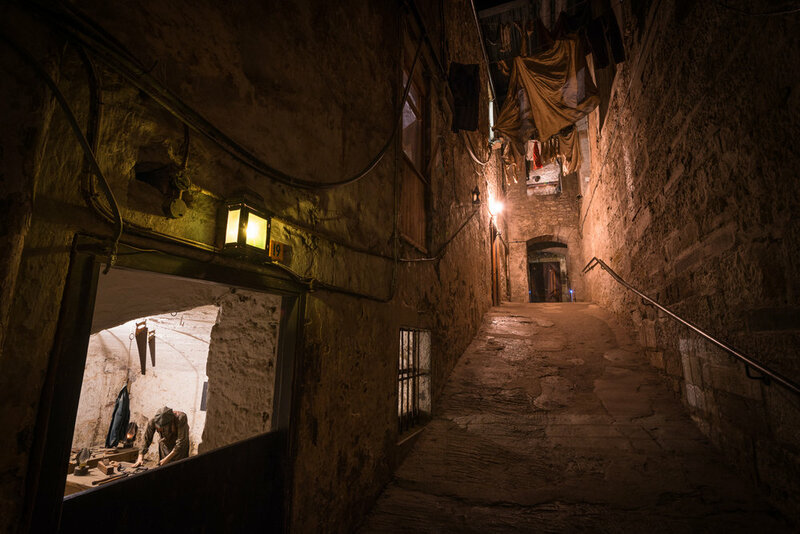 Imagine heading deep into the dark caverns underneath the streets of Edinburgh to discover a community that has been preserved since the 17th century! This network of narrow streets, or "closes", were originally tenement houses that were demolished and buried when the Royal Exchange was built on the same landhaun. It is reputed to be haunted by the ghost of a little girl, so bring a small toy to appease her spirit. The Black Death cost untold lives in Europe and, in a small Roman Catholic church in the Czech Republic, many of its victims were laid to rest. As the church expanded, many of these nameless victims were unearthed and it became the job of a small group of half-blind priests to sort the bones. 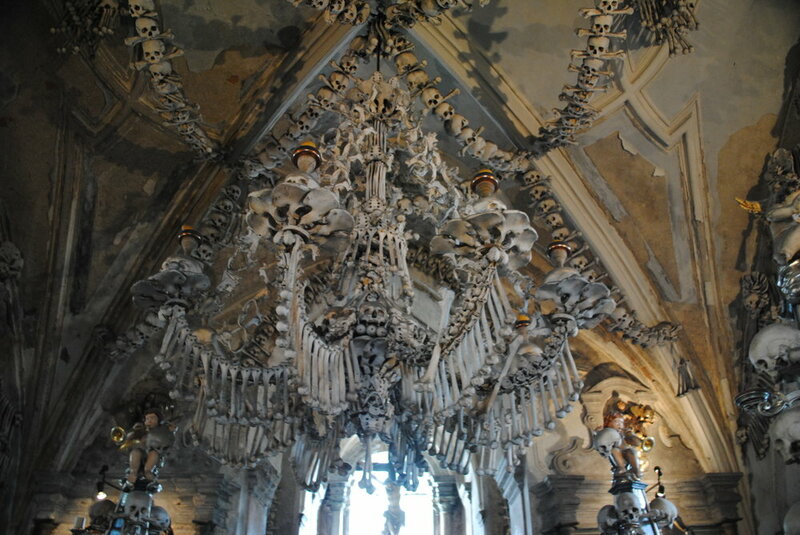 Finally, in 1870, a woodcarver named František Rint was tasked with creating something of the bones and his macabre creations can be seen to this day. This ruined castle overlooking a vast mountain range, is the authentic castle of Vlad Dracula. It's located deep in the wilderness and in order to access it you have to climb a very tall, very long staircase. It's absolutely worth it as the view is like nothing you've ever seen before. No trip to the Continent would be complete without visiting the final resting places of such great thinkers and creators as Honore de Balzac, Oscar Wilde, and Jim Morrison! A quiet stroll through the cemetery is one of the most unappreciated gems in the City of Lights. Bring a pastry from one of the many nearby bakeries and appreciate the beauty of this final resting place. Have any more favorites we should mention? Leave them in the comments below.